A fast growing plant, perfect for beginners with basic tank lighting. If the light is not enough, spacing between the leaves increases and it can look messy. 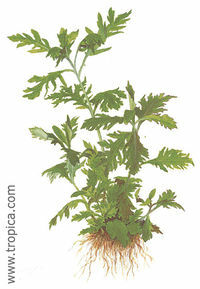 Fern-like leaves are larger (10cm (3.9") long) at higher temperatures. Leaves are delicate and easily broken. Though small fragments will readily grow roots. This page was last edited on 21 August 2011, at 21:24.